Avoid disappointment and pre-book your tickets to the Star Wars Identities exhibition at London’s O2 Arena, a must-see for fans of George Lucas’ iconic film franchise. A collection of more than 200 original props, models, and costumes tell the story of the movies’ production and immersive stations offer insight into the psychology of the Stars Wars characters. At checkout, select your entry slot from four peak and off-peak options. Then, make your own way to London’s O2 Arena, located a short walk from North Greenwich station on the Jubilee Line, and present your paper voucher. Once inside the exhibition, you’ll marvel at a 200-strong collection of props, models, and costumes used in the world-famous film series. 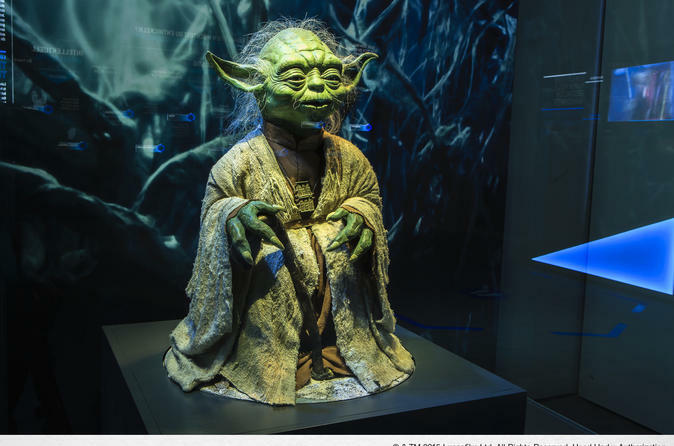 See recognisable characters such as Yoda and Darth Vader, admire models of space ships such as the Death Star, and discover more about the character’s psychology at 10 interactive stations that promise to reveal more about your own character. Budget to spend between one and two hours inside of the exhibition.